Over the last ten years, we’ve seen inspirational work done on a national level to help combat the stigma of mental health. Big personalities including Stephen Fry and amazing organisations such as Time To Change have encouraged us as a society to look at mental health differently – and, more importantly, to talk about it. This work has been highly successful in the fight against mental health stigma. But how does this national work translate onto a local level? How do we encourage employers to improve the way they deal with mental health? How do we ensure that Clinical Commissioning Groups are providing the right services, and how do we get that local leadership to transform the way mental health is viewed? Across the county, there are around 433 principal authorities in the UK, all with wide varieties of responsibility. Uniting them is their offer of a platform for local leadership, their ability to bring together different organisations, and workforces required to undertake a number of different tasks that will inevitably have a direct impact on those who live under that authority. In May 2011, I became a councillor on Basildon Borough Council. At 18, this made me one of the youngest councillors in the country. I don’t think it was youth that enhanced my ability to represent the local community – it was that I was still under the care of the Community Mental Health Team and had lived experience of mental illness. After all, every one of us has mental health. 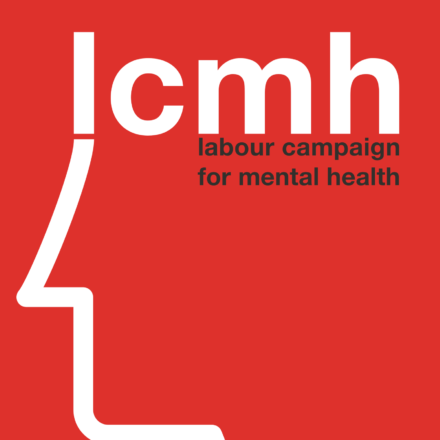 When I first heard about the Mental Health Challenge, an initiative to get every UK council to appoint a mental health champion, I knew it was something as a councillor I needed to promote. Although the authority I represented did not have a ‘health and wellbeing’ remit and my political party was not the ruling administration, it was something I was determined to do. As a councillor, I am in a position to advocate on behalf of my residents to decision makers in NHS Mental Health Trusts, CCGs and of course my own local authority. Councillors can also provide local leadership and direction, organise campaigns and mediate between a number of different parties. Getting mental health right locally can be the difference between life and death for some people. Taking the Mental Health Challenge provided me with a platform as a local leader to influence change, to advocate for residents who needed more support, and to make the area more mentally healthy. I did this by offering some of my time to the delivery of mental health awareness sessions in schools and universities, as well as working with community groups and businesses to improve knowledge and awareness of mental health. After losing my seat in 2015, I was determined to continue fighting for the Mental Health Challenge. I was given the new title of ‘Mental Health Challenge Ambassador’, which allowed me to carry on encouraging councils to sign up to the challenge and continue some of the work that I started as a champion. During that time, I helped support community groups that wanted to improve mental health in the area and used my knowledge of local government to improve our locality’s response to the Crisis Care Concordat. I’d still be battling stigma on a local level by being open about my experiences to the media, and continue to deliver free training on mental health to schools and community groups. Thankfully I won my seat back a year later in 2016 and got straight back into it – still doing all the above while advocating for the Mental Health Challenge to other councillors. The challenge has value not just because the benefits it brings to a local authority are substantial, but because councils signed up to it directly improve the mental health of their residents. We cannot achieve the parity of esteem and transformation of mental health services desperately needed in this country unless we get every principal authority in the UK signed up to the Mental Health Challenge. Being an ambassador allows me to play a small part in helping to get them all signed up. That might sound like a lofty ambition but when local government sneezes, the NHS catches a cold. Andrew Gordon is the local government liaison for Labour Campaign for Mental Health.